Sharpbills are quiet birds that tend to stay still, making only short flights between perches. Their coloring allows them to blend in well with the environment, making them hard to observe. They live alone, rather than in flocks. Although sharpbills were first described in 1820, the first sharpbill nest was not found until 1980, so not much is known about the mating and nesting behavior of these birds. It is believed that sharpbills mate from late February to May. 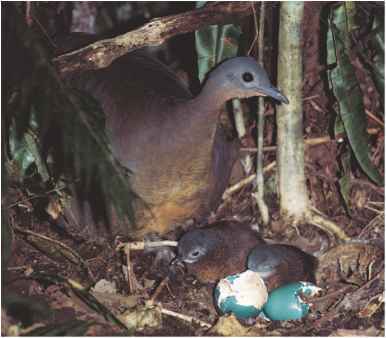 The nest that was found in 1980 contained two eggs and was a shallow cup located near the top of tree about 100 feet (30 meters) tall, making observations difficult for scientists. Much remains to be learned about the behavior of these birds.